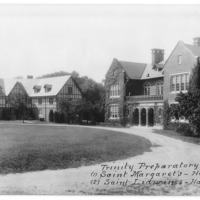 An exterior view of St Mary's Hall, a part of Trinity Preparatory School. 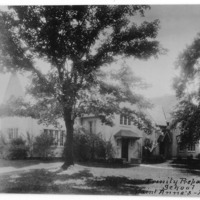 An exterior view of two buildings used by the Trinity Preparatory School in Ilchester. 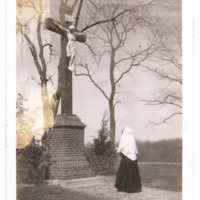 A photo of the large crucifix at the Ilchester cemetery. 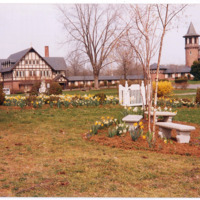 A color photo of the Corpus Christi Chapel, erected in 1923, and the Provincial House, or also called St Mary's Hall, which was built in 1914. 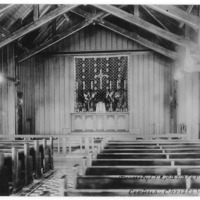 A view at the interior of the chapel pews, altar, and statues. The first mass was held on August 10, 1934 for the Feast of St Lawrence. 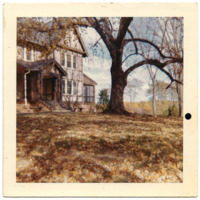 An exterior view of St Anne's Hall in Ilchester, MD. 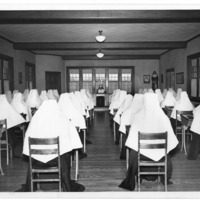 The hall temporarily served as the first chapel when the Sisters arrived in 1934, but later was used for classrooms. 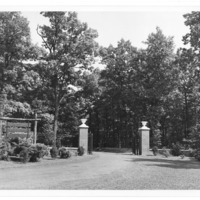 A view of the driveway entrance to the Trinity Preparatory School in Ilchester, MD. 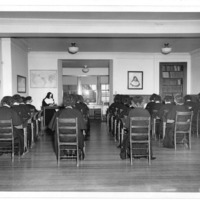 The school opened on September 17, 1934 with 17 boarders and 5 day pupils, and was accredited by the US Department of Education of Maryland in 1939. 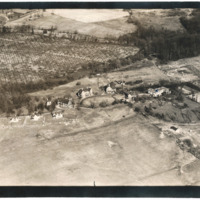 An aerial view of the grounds before the Sisters purchased the property. 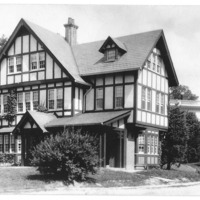 The original buildings were used by the Donaldson School for boys, which closed in 1933. 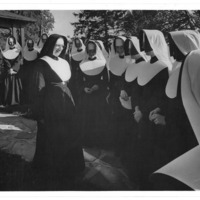 A photo from the visit of Superior Mother Josepha de St Francois in 1959. Also included are American Provincials and the Ilchester community. 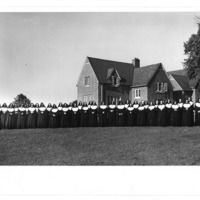 Sr Ann Cornelia Vaughn teaching a full classroom of novices at Ilchester, MD. A full classroom of postulants at Ilchester receiving training. Sr Loretto Julia Carroll visiting with novices at Ilchester, MD.